The brand book, the style guide, the identity manual – whatever you call it, if you’re a graphic designer you’ve no doubt made or admired these codices at one time or another. And why shouldn’t you? As designers we work in systems, and we want those systems to retain their integrity long after they’ve left the glow of our monitors. After all, it’s these very objects that we studied in college and still revere today. 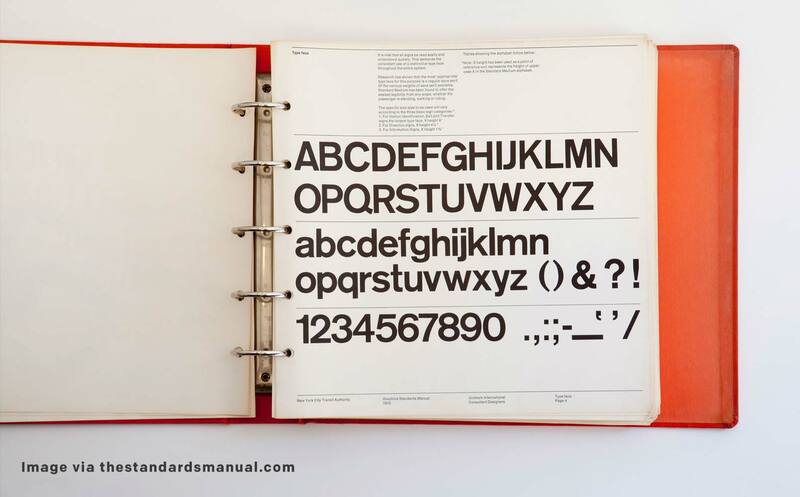 Rand’s brand book for Next, the manual for the 1976 Montréal Olympics by Georges Huel, Vignelli’s Graphics Standards Manual for the New York Transit Authority – they’re all some of the most significant artifacts in our industry. So much so that we often include similar deliverables in every branding project without a second thought. These books are fantastic pieces of design history, but our love for them often leads us towards misplaced imitation. We go to great lengths to explain the layers of meaning behind a logo, display the precision of a wordmark’s proportions, and we work hard to set exact mandates for clear space and the use of every single element. At best, these documents are unnecessarily strict and heavy-handed. At worst, they’re self-serving and pretentious. And when we try to mimic the books of Vignelli and Rand in our work today, we’re ignoring the fact that modern brands are far removed from those of the 70’s and 80’s. Graphic design is constantly evolving, and yet we continue to churn out brand guides that follow a model from 30 years ago. At Zeus we’ve been exploring ways to make these guides more of an asset for their brands, integrating them better with partnership strategies or using them to educate on brand character and inspire internally. Folks like Frontify are doing great work to modernize the format and delivery of brand books as well. Even so, the way we actually design for these guides needs to change. For a specific application or medium, a rigid standards manual still makes sense. Building a robust app or website necessitates a cohesive system, and a style guide is a good way to document that system – but that’s not really what I’m talking about here. What I’m addressing are the guidelines that we create to represent the entire brand. Our world is changing at such a rapid pace that a company needs to constantly evolve in order to be successful. The visual identity of a brand is no different. It should always be iterating, always growing, always fluid. There may be equity in the logo or in a few colors, but when it comes to the rest, change will inevitably happen. It may be gradual, but it’s always there. Just take a look at the color shift in Nike’s work in the last 5 years. For the longest time, Nike leaned heavily into their trademark orange – from the signs in their stores to the bright orange box you’d take home with you. But that started to change during the summer of 2012 when they ambushed the Olympics with their new Volt Flyknit sneakers. 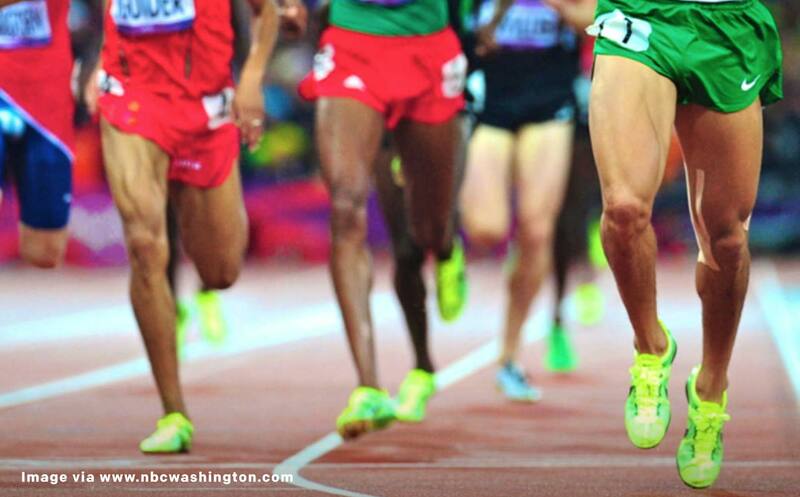 As a workaround to the Olympics’ rigid anti-advertising rules, they outfitted their athletes with shoes that were so bright they were impossible to miss. After that, Volt became synonymous with Nike. While the new color didn’t replace their orange, the ripple effect of the Olympics stunt touched everything from future product lines to their promotional emails. But the important takeaway is that this change wasn’t the result of some big design overhaul. It wasn’t even the result of a design firm working on a brand evolution. It was a bunch of people inside Nike collectively making smart design choices while working under a larger strategy. What had initially started as just one of many colorways in their Air Max 90 Hyperfuse release in 2011 quickly became a useful new tool in Nike’s box. To a certain extent, that’s what designers do when we work on brands. We take stock of existing assets, figure out what to ditch, what to dial up, and what to tweak or appropriate. But what if we designed for evolution, instead of designing to prevent it? What would it look like to design an identity system to be malleable from the start? It seems like so many brand guidelines fight this type of explorative growth with overly rigid brand standards that are taken as infallible, when instead they should be used as jumping-off points. Beyond just setting your designers free, though, there’s an even bigger opportunity in flexible brand assets – your consumers. 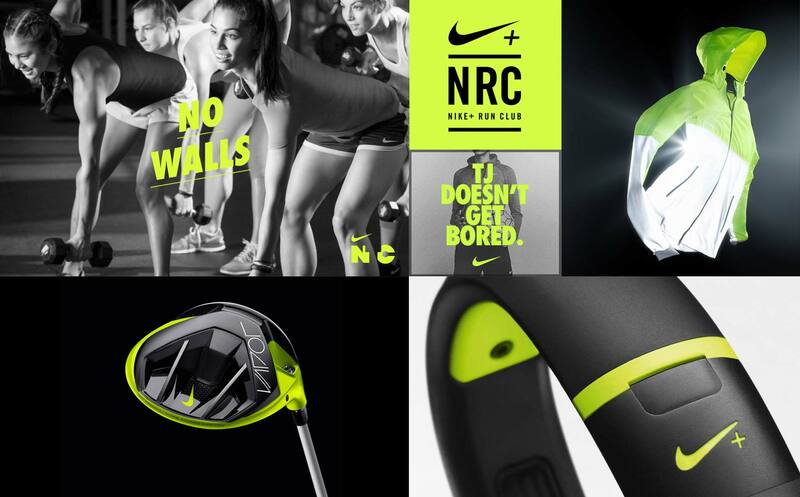 What happens when you actually give your brand’s identity to your audience and let them play? While it may not be the right choice for everyone, letting go of the reins is one way to become a modern lifestyle brand. If your audience wants to play with your identity, encourage it. Champion and participate in that exploration, rather than avoiding it just because it doesn’t match every guideline in your brand standards. Will they change things? Will they break things? Will they make ugly things that live on the internet for the world to see? Sure. But you’ll get ideas and assets you never would have thought of on your own. And more than that, you’ll be an active part of culture in a way that would otherwise be impossible. The truth is, any designer worth their salt can find a hundred ways to break your brand guidelines and have a killer concept that still feels like it’s coming from the same brand. On the flip side, another designer can follow the guidelines perfectly and still make something that looks terrible. The difference between the two is that the designer in the first scenario understands the larger strategy behind the brand and sees how the existing design language can be expanded upon to move the strategy forward. So instead of simply issuing orders, it’s better to empower your designers to communicate your strategy, your goals, and who you really are as a brand. Instead of keeping your design elements static by ruling them with an iron fist, work to make it clear how they represent the strategy and principles that govern the brand as it moves into the future. Because when designers are empowered and educated about the meaning of what they’re designing, they create designs that mean something.